Tom maintains a diverse civil litigation and trial practice involving representation of clients in commercial and non-commercial matters before federal and state courts. He has defended corporations in toxic tort class actions and individual cases seeking personal injury, property damage, and injunctive relief arising from alleged exposure to multiple chemicals emanating from manufacturing facilities and landfills. He also has defended chemical manufacturers and distributors in product liability actions arising from occupational exposure to industrial and laboratory chemicals. Tom also has represented corporations in a variety of contract and construction disputes in court and arbitration proceedings, including most recently an extensive arbitration regarding a dispute over the operation, repair, and maintenance of a cogeneration facility and a dispute over alleged construction defects in a large wastewater treatment facility. 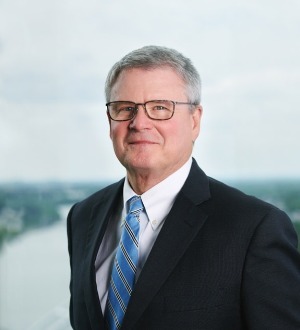 He has extensive experience representing gas and electric utilities in commercial and non-commercial cases, including business disputes between utilities and their suppliers and contractors. Tom also has represented utilities in a wide variety of claims arising from natural gas explosions, electrical fires, electrocutions, stray voltage claims, and construction accidents. From 1989 through May 2000, Tom was a litigation partner of Nixon Peabody, LLP and its predecessor, Nixon, Hargrave, Devans & Doyle LLP.